Tracon is an annual anime- and role-playing convention held in Tampere Hall. With 5500 daily visitors and over 500 volunteers it's one of the largest non-profit conventions of its genre in Europe. Tracon is the only convention in Finland to officially combine anime and role-playing content, and the amount of music content is also something that is mainly Tracon's speciality in the Finnish covention scene. The theme for Tracon 2019 is Hero's Journey, and it will be reflected in various programmes and shows throughout the event. The event weekend starts with Gaming Friday, which concentrates on electronic gaming, and continues with the main event for saturday and sunday. 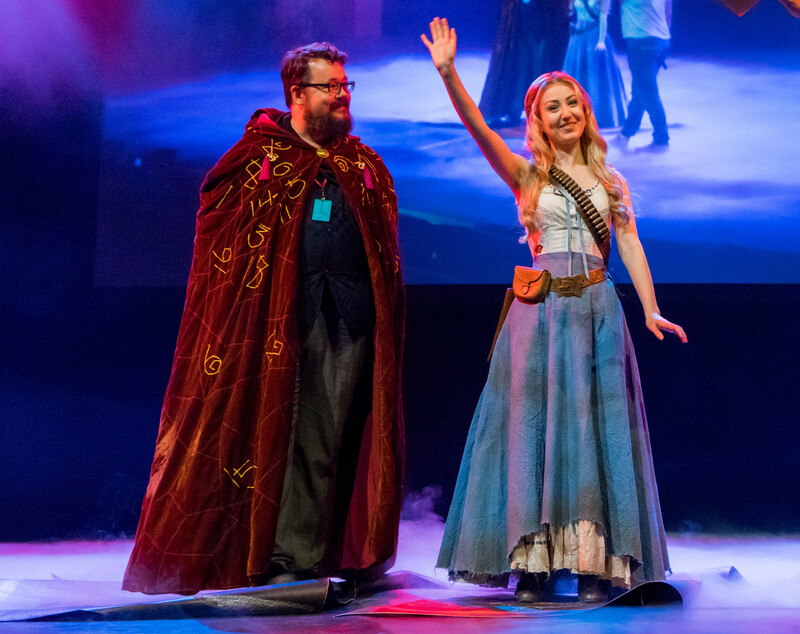 The main event concentrates on anime, cosplay and role-playing, and offers a variety of competitions, presentations, lectures, concerts, workshops, community meetings and shows. During the main event also the park around Tampere Hall is filled with activities, cosplay and music. Tracon's venue, Tampere Hall, is located in city of Tampere, in a walking distance (700m) from the central railway station and bus station (900m). Tampere is less than a two-hour train trip away from Helsinki-Vantaa airport, and about two-hour trip away from Helsinki central railway station. Practical info: More about location, tickets and other pracical info can be found here. Remember to be quick! The tickets sell out in about 24 hours after the ticket sales are opened. For artists and vendors: Interested in coming to merchant's hall, artesans area or artists alley to display your art and merchandise? More info about applying for these can be found here. The most visible part of Tracon is cosplay. 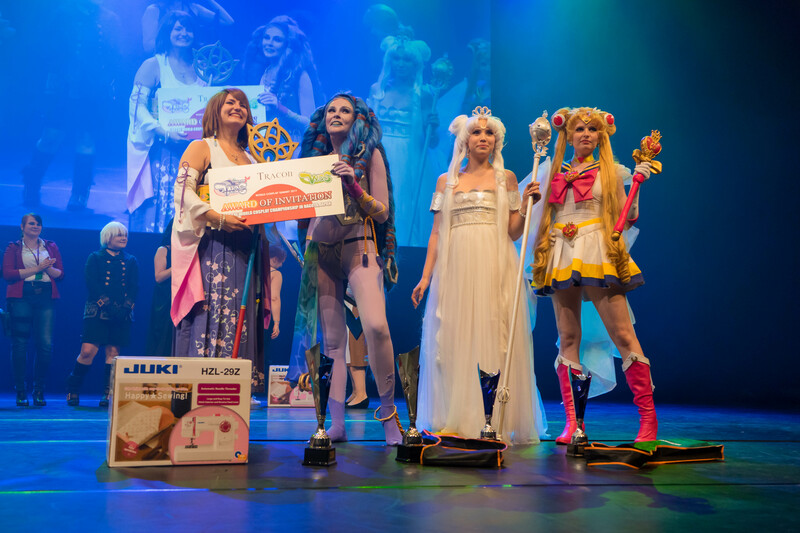 Tracon arranges the preliminaries for two international cosplay competitions: Nordic Cosplay Championships and World Cosplay Summit, and organizes also smaller local competitions and exhibitions for costume design and performances. World Cosplay Summit is the most prestigious cosplay competition in the world. Held annually in Nagoya, Japan, the competition gathers skilled cosplayers from all over the world to compete in performance and costume-making. Nordic Cosplay Championship is held at Närcon in Sweden, to give a competition stage for cosplayers from Scandinavia and northern Europe. Apart from cosplay, Tracon organizes Anime Music Video competitions, multiple lectures about anime- and cosplay topics (some of them in English), anime karaoke and many other activities. Role-playing in all its forms is one great part of Tracon. Even though it is not as visible as cosplay, one may find a large variety of different games throughout Tampere Hall. There are multiple tabletop and Nordic larp games running during the main event. Newcomers can also try their hand in tabletop gaming for short scenarios with our Games on Demand team. 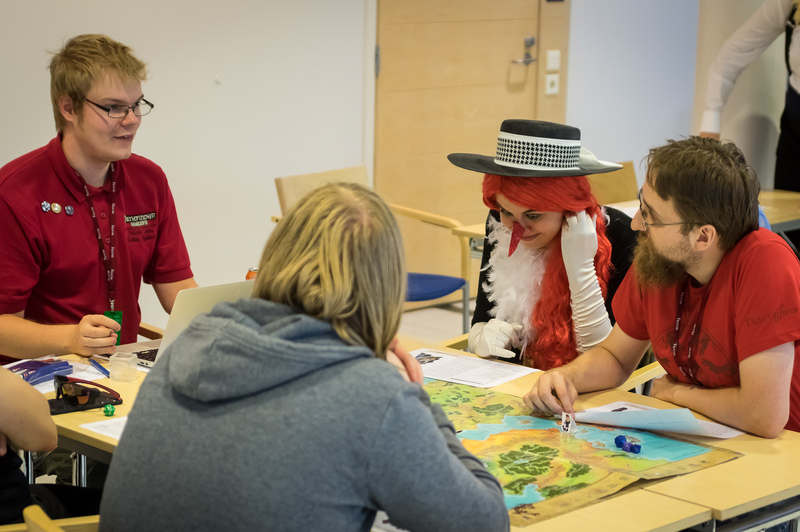 The Game of Tracon is a convention larp that gives visitors a chance to join forces with others to solve puzzles, find clues and finally to try to win the other teams. The game has three competing factions, and you can easily drop in and out whenever you wish to. We have also board- and card games and lectures about these subjects. Some of them in English as well! 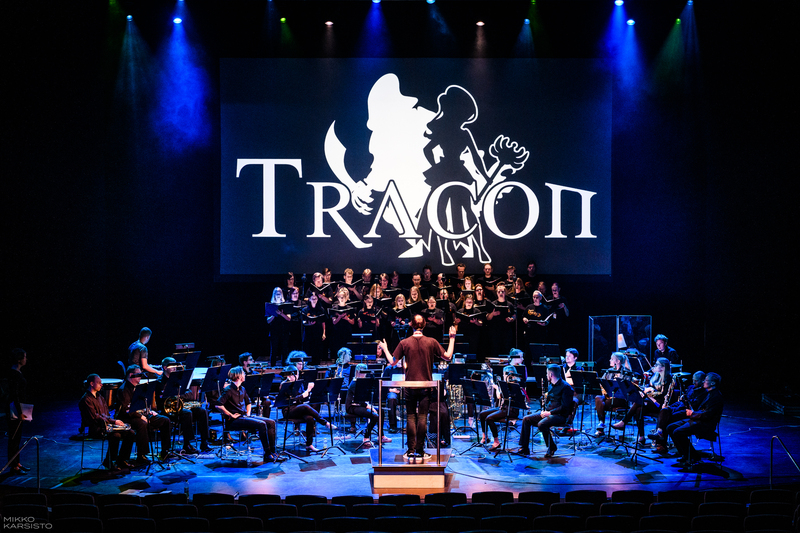 Music is a very important part of Tracon: we have various game- and anime music and choir concerts during the event, and Tampere Hall provides excellent facilities for that. The anime music video competition is also one of the most popular programmes during the event. Tracon invites at least two guests of honour each year, one for the roleplaying audience and the other for anime/cosplay fandoms. Guests of Honours offer varous presentations, panel discussions, lectures, role-playing game scenarios and other activities depending on their field. These programs are International visitor friendly, as they are held mostly in English. 2019's Guests of Honour are not yet published! At merchants hall and artist alley you can find stuff to see and buy for yourself. Café Hanami, our very own meido café, offers a place to relax with cute company. Tracon evening party, Iltabileet, on saturday evening will give you a chance to sit by a pint or dance your heart out! Outside at the park you can take part in some boffer fighting. Indoors there are also various interactive activities for the visitors to take part in, such as rhythm and video games and anime karaoke. Tracon offers you the perfect opportunity to spend your weekend enjoying the company of friends and like-minded new acquaintances. Some of the lectures and other programmes are streamed on YouTube for a wider audience: for example 2018 guest of honour Guy Sclanders' programs can be found here. Feel free to contact us by our social media or email: yhteys[a]tracon.fi, We are happy to help! If this year's event does not fit to your calendar, the dates for the future events are set already!